Looking for a Land Rover in Canada? Land Rover is a British carmaker that was founded in 1978. It is known for its four-wheel drive (4WD) vehicles as it is the second oldest four-wheel-drive automaker. The first Land Rover was launched in 1948 at the Amsterdam Motor Show. An estimated two-thirds of all vehicles are still reported to be on the roads today, illustrating the strength and durability of the vehicles. 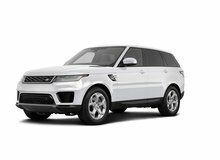 The current product line consists of the Discovery Sport, LR4, Range Rover Evoque, Range Rover Sport, and Range Rover. The Range Rover is a large luxury SUV that was first launched in 1970 and is the flagship model at Land Rover. It is available in the following trims, HSE, HSE Lux, Supercharged, and Autobiography. The vehicle is loaded with technology including, an Adaptive Dynamics and Rear Electronic Differential, Hill Descent Control with Gradient Release Control (GRC), and Terrain Response. 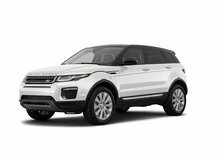 The Range Rover Evoque is a compact SUV, launched in 2011 with strong public demand. The vehicle was designed with a strong appeal on aesthetics and reduced fuel consumption and CO2 emissions. It is available in a five-door or three-door model and with three trims — Pure, Prestige, and Dynamic. 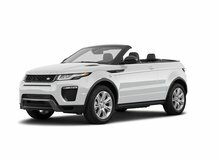 The use of advanced weight-saving technologies, such as composite plastics and aluminum body pieces allows for the Evoque to be the lightest Land Rover manufactured. The vehicle is loaded with innovative technologies such as 2.0 liter turbocharged engine, Electronic power Assisted Steering (EPAS), and Hill Start Assist. Unhaggle is not affiliated with or endorsed by Land Rover in any way nor does Unhaggle endorse any products, services, or websites that may be referred to in, or linked to, this site. 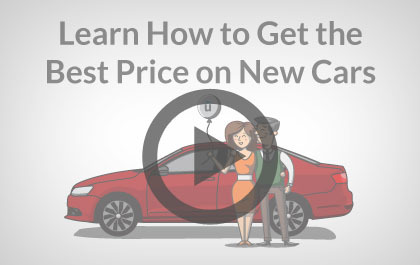 All product names, trademarks, and trade names are the property of their respective owners.